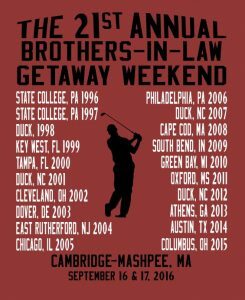 The 21st Annual Brothers-in-Law Getaway Weekend (BILGW21) is here! 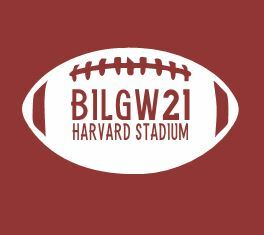 This year, the hooligans will travel to Cambridge, MA to watch the Harvard – Rhode Island football game. Then, a hop, skip, and a jump up to Mashpee for a nice game of full-contact golf. As usual, there will be plenty of good food, cold beer, and laughter. Have fun, gentlemen, and have a beer for me!